Stars Pratt and Howard return alongside executive producers STEVEN SPIELBERG and COLIN TREVORROW for the epic action-adventure. Directed by J.A. 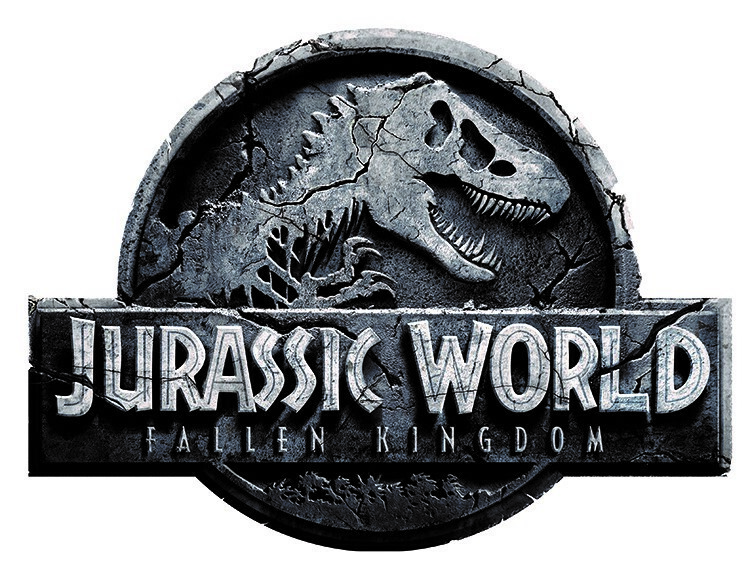 BAYONA (The Impossible, The Orphanage), Jurassic World: Fallen Kingdom is written by Jurassic World’s director, Trevorrow, and its co-writer, DEREK CONNOLLY. Producers FRANK MARSHALL and PAT CROWLEY once again partner with Spielberg and Trevorrow in leading the filmmakers for this stunning installment. BELÉN ATIENZA joins the team as a producer. The accomplished group is joined by co-stars JAMES CROMWELL (Babe) as Benjamin Lockwood, a wealthy entrepreneur who was Dr. John Hammond’s partner in creating Jurassic Park; JUSTICE SMITH (The Get Down) as Franklin Webb, Claire’s whip-smart hacker in the Dinosaur Protection Group, who is more comfortable being the “guy in the chair” at home base than in the middle of action; DANIELLA PINEDA (The Detour) as Dr. Zia Rodriguez, a genius paleo-veterinarian whose abilities in this archaic sub-specialty have never been tested on live dinosaurs; RAFE SPALL (Prometheus) as Eli Mills, Lockwood’s right-hand man who recruits Claire and Owen to bring the dinosaurs to a private reserve; TED LEVINE (Shutter Island) as Wheatley, a tough-as-nails mercenary that Mills puts in charge to run the ground operation at Isla Nublar; TOBY JONES (Captain America series) as Eversoll, brought in by Mills to supervise the operations at Lockwood estate after the rescue mission; GERALDINE CHAPLIN (A Monster Calls) as Iris, housekeeper of the estate and keeper of family secrets; and ISABELLA SERMON, who makes her debut as Lockwood’s infectiously optimistic granddaughter, Maisie, a 10-year-old who has lived at the mansion her entire life..
Series stalwarts BD WONG and JEFF GOLDBLUM reprise their roles as, respectively, Dr. Henry Wu and Dr. Ian Malcolm. Wu, a corrupt geneticist whose name is synonymous with InGen, is as near-sighted as ever in his pursuit of scientific breakthroughs. For his part, eccentric mathematician Malcolm first predicted doom for Hammond’s Jurassic Park a quarter of a century prior. His unparalleled grasp on chaos theory and those who abuse power will prove invaluable…especially as Owen and Claire uncover a most deadly endgame. Bayona’s army of creative talents are led by cinematographer OSCAR FAURA (A Monster Calls, The Orphanage), production designer ANDY NICHOLSON (Gravity, Captain America: The First Avenger), costume designer SAMMY SHELDON DIFFER (Ex Machina, Imitation Game), Oscar®-winning creature effects creative supervisor NEAL SCANLAN (Star Wars Episode VII: The Force Awakens, Rogue One: A Star Wars Story) and Oscar®-winning composer MICHAEL GIACCHINO (Up, Jurassic World). The Jurassic Park theme is by five-time Academy Award® winner JOHN WILLIAMS (Star Wars saga, Harry Potter series). 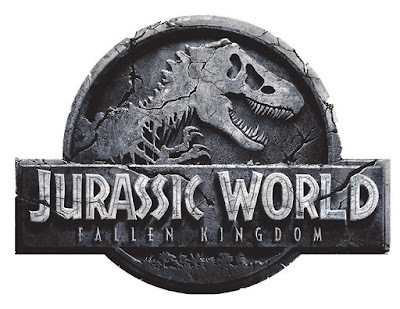 Jurassic World: Fallen Kingdom was filmed in the United Kingdom and on the Hawaiian islands. It may seem difficult to believe, but when the filmmakers behind 2015’s Jurassic World began its development, they had no idea that their labor of love would become one of the top-five grossing movies of all time. For Jurassic World director Colin Trevorrow, who also co-wrote the first chapter—and returns as co-writer and now executive producer of Jurassic World: Fallen Kingdom—the relaunch of the series that has captivated him since he was a boy has long been imagined as a trilogy. Alongside co-writer Derek Connolly, he has taken great pride in bringing the cautionary tales of Michael Crichton and world creation of Steven Spielberg to a delightfully dangerous and unexpected new level. Few characters are closer to Trevorrow than Claire Dearing and Owen Grady, the fiery former lovers who are seemingly destined to pine—and grouse—after each other from afar. Discussing how the heroes have evolved, he notes: “We thought a lot about where Claire would be a few years later, and how she’d have a lot of guilt, regret and responsibility—which she would take and put it into action. Claire knows there’s a natural disaster that is about to occur on the island—one that has posed a question to the world: ‘Do we let these animals die, or do we save them?’ She’s the person who feels the most responsible for rescuing the dinosaurs. The extraordinary dinosaurs are as much players as Claire and Owen. Nowhere is this more evident than with Blue, the Velociraptor to which Owen has had a deep connection since she was a hatchling. After a fierce battle with littermate Echo—one that left Blue with a scarred lip—she established her dominance among her pack. Once Owen pretended to be injured during her training, Blue showed her capacity for empathy. A virtual enigma among dinosaurs, she is equal parts vicious and nurturing; sadly, in the post Jurassic World era, she is also last of her kind. It was crucial to the narrative to open the series up and introduce a new set of dinosaurs from multiple epochs. From a Baryonyx and a Carnotaurus, to a crazy little bull-in-a-china-shop called a Stygimoloch, the writers brought more colorful creatures to Fallen Kingdom than ever before. As if it that wasn’t enough, they imagined a genetically designed monstrosity known as the Indoraptor. Its DNA an unholy mix of Velociraptor, Indominus rex and who knows what else Dr. Wu spliced into its codons, this creature is not deadly because of size—it’s due to his intelligence, speed and ability to follow orders…when he so chooses. Indoraptor is, without a doubt, the perfect weapon. No stranger to physical roles, the performer walks us through one of his favorite stunts of the shoot: When Owen chases just behind Claire and Franklin in a gyrosphere that is rocketing off Isla Nublar and into the ocean. When Owen dives to rescue them, he must use every bit of his military training and survival instinct to come out alive. To complete the cadre of characters Trevorrow and Connolly imagined, the production would cast international actors who represent both players at the top of their craft, as well as those just beginning their careers in the business. For Bayona, the one thing he expected from his performers was passion for the series itself. The Lockwood Foundation has been established for the preservation of these animals, and it is galvanized to save as many as possible and bring them by ship to an unknown-island sanctuary that will be, theoretically, safe. There will be no tourists and no interaction with humanity. Although Lockwood believes that is being put into effect, he will be soon mistaken. Renowned Oscar®-winning creature effects supervisor Neal Scanlan was brought aboard with the unenviable task of ensuring that practical effects dovetailed seamlessly into the film. He discusses the curious balance between physical and computer effects on a juggernaut project involving dinosaurs: “I’m going to surprise you and say that animatronics is not always the best way forward for every scene. You have to weigh up the pros and cons of approaching it practically. If there is a dinosaur on set, you can light it for real and the actors can interact…but you have to support that performance with the people behind the creature. On creating the Indoraptor, he comments: “This is essentially a genetic experiment, and the idea is that it is not necessarily 100-percent successful. Our role with the Indo was to take the initial CG design and develop it further, with the scars and texture of the scales. Because this is a creature whose genes are drawn from many species, it does offer opportunities to explore and research these details. It is fascinating: the difference between something looking dragon-like, or crocodile-like or reptilian. In addition to crafting these amazing creatures, Scanlan’s team is responsible for the performance of the animals. His team of talented puppeteers would bring the dinosaurs to life using a mixture of techniques. “Having a coordinated group of people who work together as a team to bring something to life through performance is the way forward for animatronics. Our approach with the dinosaurs was to try and operate them wherever we could through what we call ‘raw performance’ or ‘direct connection.’ Whenever we can get a performer to have their hands directly connected to the dinosaur, we will. If we can physically get our hands to touch and move something, then it is a direct connection between your heart and your imagination. For Blue, they had up to 12 puppeteers or performers who were only slightly off camera, almost inside the dinosaur. Bayona’s team only used technology for the areas they cannot perfect with puppetry, for instance, blinking of eyes or the snarl. Like a magician, it’s sleight of hand. They use every trick in the book to bring the human into the creature, or dinosaur in this case. The challenges of blending realistic dinosaurs alongside their SFX counterparts might see superhuman, and they are. Vickery reflects that he takes his duties deadly seriously: “The moment people don’t believe these dinosaurs are there, they get taken out of the film very quickly, and the experience is destroyed. We go into as much depth as we possibly can…to understand not only their appearance, size and movements but also the personalities of these animals and their characteristics. Bayona has been keen to push Vickery’s box of toys to the limit. “He is like a kid in the sweet shop,” laughs the VFX supervisor. “He collaborates with all the people around him and leans on me to come up with intriguing visual ideas, creative ways to get interesting shots. It might simply be down to the way the dinosaur moves, and we start designing shots and they become pieces of action and beats within the film. For the new dinosaurs, the VFX team liked to have a lighting reference to understand what the magnificent creatures would look like in the environment. They did 3D sculpts of the creature in Maya and 3D studio and sent them to Scanlan, who was again able to 3D print them out into single pieces. His team of CFX artists would then add additional detail on top, and paint it up so that the team could have a photo realistic reference to work with on set. Much of the impressive scope of Fallen Kingdom is due to Nicholson’s expansive set design and builds at Pinewood Studios in England, as well as his on-location work in Hawaii. “The scale is a by-product of the characters that our dinosaurs are playing, as well as the vast sets that the storyline requires,” he reflects. Three months into production, the cast and crew relocated to Hawaii to film the scenes set on Isla Nublar. While many practical locations were utilized, a number of sets on the islands were also required. Jurassic World is overgrown and abandoned, and the team was able to rebuild a portion of the main street…but as destroyed as it was at the end of the last film. Plus, they assumed that because the volcano is erupting, there would be a certain amount of seismic activity…allowing them to break the buildings down even more. An unexpected consequence of returning to Jurassic World was that the filmmakers were able to explore other areas of the island that haven’t seen in the films before. It was crucial, however, that they fit within the architectural style of the theme park. Moviegoers will see evidence of rides as we progress through Claire and Owen’s journey to the bunker in order to activate the beacons. Fan-favorite the gyrosphere is back…and it might just save the day. While in the U.K., production was based at world renowned Pinewood Studios in Buckinghamshire. This is where the art department, costume, creature effects, special effects, visual effects workshops and editing were situated. Many of the sound stages at Pinewood were utilized for the huge set builds needed for the film. Lockwood’s library was built on S Stage. Resembling a natural history museum, the vast set was filled with archaeological artefacts, dinosaur skeletons and lined with intricate dioramas, which serve as Maisie’s playground and hiding place. When filming in the library was complete, the set was re-dressed and transformed into Lockwood’s underground garage, which is used by the more duplicitous characters to house a sinister auction room. The eerie dinosaur containment facility, in the basement of the Lockwood mansion, was built on R Stage. This was designed as the holding area for the dinosaurs arriving from Isla Nublar and also housed Dr. Wu’s state-of-the-art laboratory and the control room. Stages M and F were utilized to build Maisie’s quirky and luxurious bedroom and Lockwood’s bedroom. The vast interior of the Arcadia, the cargo ship that transports the dinosaurs from Isla Nublar to their new destination, was built on RA Stage. This set was filled with huge trucks for the scenes in which Claire, Owen and Franklin dive on board the vessel and find Zia working to save Blue’s life. When filming on the Arcadia was complete, the set was rebuilt to become the gigantic rooftop of the Lockwood Estate where Claire, Owen and Maisie come face to face with the stealthy Indoraptor. The production also took extra space at Langley Business Centre, a short distance from Pinewood Studios. In order to film scenes at the beginning of the movie—introducing Franklin and Zia to the story—Claire’s Dinosaur Protection Group office was built here. Other scenes filmed at Langley included the video of Owen training baby raptors, and the scene in which Claire and Owen must take blood from a heavily (?) sedated T. rex. The cast and crew ventured out on location to MOD Hartland and Minley in Surrey. Working through the night with helicopters, rain machines and lightening simulators, this location was used for the scenes in which the station guard ominously opens the gates to the Jurassic World Lagoon in the opening sequences of the film. Other sets built at this location were the exterior of the Lockwood House, where wealthy customers are welcomed to the auction of a lifetime, and the Loading Dock, where sedated dinosaurs are delivered to the estate after their voyage from Isla Nublar. Every Jurassic movie to date has filmed in Hawaii and Fallen Kingdom was no exception. In mid-June 2017, 50 core members of the U.K. film unit travelled across the Atlantic to join the American team in Hawaii, USA. Filming took place on Oahu to capture all the exterior action that takes place on Isla Nublar. Production kicked off with Claire, Owen, Franklin and Zia arriving at the Radio Tower Bunker. This exterior was built at Kualoa Ranch, also home to the Gyrosphere Valley, where Claire, Owen and Franklin become trapped in a terrifying dinosaur stampede…and take cover in the disused theme park ride. Established in 1850, Kualoa is a 4,000-acre Private Nature Reserve, as well as a working cattle ranch stretching from the steep mountain cliffs to the sparkling sea. Located on the north-eastern side of Oahu in the Hawaiian countryside and along the white sandy shores of Kaneohe Bay, it is just 24 miles from Honolulu. Other productions that have filmed at this stunning location are Windtalkers, Pearl Harbor, Godzilla, Tears of the Sun and 50 First Dates. 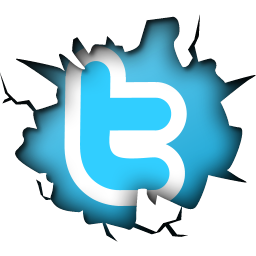 Notable TV shows include the old and new Hawaii Five-O, Magnum P.I. and Lost. Claire, Owen, Zia and Franklin arrive on Isla Nublar via prop plane. They are greeted by gruff expedition leader, Wheatley, who shows them around the high-tech base camp. This set was constructed on land owned by and neighbouring Dillingham Ranch on the Northshore. Fortunately for all, the art department cleared the site of hornets and wasps and built a small runway where they could land the plane. The largest set build in Hawaii took place at Police Beach (near Papa’iloa Beach). This is where the art department recreated Main Street, complete with destroyed Nobu and Margaritaville. The set took more than three months to build and was meticulously dressed with the aftermath of chaos that took place on the island in the last film. When Claire and Owen first arrive on the island, they drive through this set as they venture back into Jurassic World. The Halona Blowhole was the site chosen for the scene in which Claire, Franklin and Owen wash up on the beach after escaping a stamped of dinosaurs in a gyrosphere. This picturesque cove was made famous by Burt Lancaster and Deborah Kerr in the 1953 classic From Here to Eternity. Situated on Oahu’s windward side, He’eia Kea Pier served as the location of the shipping dock, where dinosaurs are loaded onto the Arcadia as lava spews down the mountainside…and Claire, Owen and Franklin must jump in a truck—joining the cargo to its unknown destination. Picturesque He’eia Kea Harbour is located in Kaneohe Bay, the largest sheltered body of water in the Hawaiian Islands. On a usual business day, the He’eia Kea Harbour offers fishing charters and scenic cruises, boat, water toy and jet-ski rentals, parasailing, snorkel and scuba diving cruises. Just a few moments away from the Pier, is He’eia Jungle, where Owen’s trek to find Blue was lensed. During the expedition to locate the beloved Velociraptor, Owen is double-crossed, and left behind to be devoured by dinosaurs or lava…whichever gets to him first. Born and raised in San Francisco, BD WONG (Dr. Henry Wu) is the only actor ever to have received all five major New York Theater awards for a single role—namely his performance in M. Butterfly (his Broadway debut): the Drama Desk Award, the Outer Critics Circle Award, the Theatre World Award, the Clarence Derwent Award and the Tony Award. PATRICK CROWLEY (Produced by/Unit Production Manager) is an American film producer with decades of international experience. His box-office hits Jurassic World, Eight Below, The Bourne Identity, The Bourne Supremacy, The Bourne Ultimatum, Eagle Eye and The Other Guys have grossed over $3 billion at the worldwide box office. Composer MICHAEL GIACCHINO (Music by) has credits that feature some of the most popular and acclaimed film projects in recent history, including Inside Out, Dawn of the Planet of the Apes, The Incredibles, Ratatouille, Zootopia and Rogue One: A Star Wars Story. In 2009, Giacchino’s score for the Pixar hit Up earned him an Oscar®, a Golden Globe Award, a British Academy of Film and Television Arts (BAFTA) Award, the Critics’ Choice Award and a Grammy Award. Giacchino studied filmmaking at the School of Visual Arts in New York City. After college, he landed a marketing job at Walt Disney Pictures and began studies in music composition, first at Juilliard and then at UCLA. He moved from marketing to producing in the newly formed Disney Interactive division, where he had the opportunity to write music for video games. After moving to DreamWorks Interactive, he was asked to score the temp track for the video game adaptation of “The Lost World: Jurassic Park.” Subsequently, Steven Spielberg hired him as the composer, and it became the first PlayStation game to have a live orchestral score, recorded with members of the Seattle Symphony. Giacchino went on to score numerous video games, including Spielberg’s “Medal of Honor” series. Giacchino’s work in video games sparked the interest of J.J. Abrams, and thus began their long-standing relationship that would lead to scores for the hit television series Alias and Lost, and the feature films Mission: Impossible III, Star Trek, Super 8 and Star Trek: Into Darkness. Additional projects include collaborations with Disney Imagineering on music for Space Mountain, Star Tours (with John Williams) and the Ratatouille ride in Disneyland Paris. Giacchino also was the musical director of the 81st Annual Academy Awards®. His music can be heard in concert halls internationally with Star Trek, Star Trek: Into Darkness and Star Trek: Beyond, Ratatouille and Jurassic World films being performed live-to-picture with a full orchestra. Last year, Giacchino scored War for the Planet of the Apes, Spider-Man: Homecoming and Pixar’s Coco. Upcoming projects include The Incredibles 2, which is set for release this summer. Giacchino serves as the governor of the Music Branch of the Academy of Motion Picture Arts and Sciences and sits on the advisory board of Education Through Music - Los Angeles.